After winning the bonusball hosted by the wonderful @Speedman29, I thought I'd try and think of another question. For those who don’t know the rules, write your answer below and the first 59 entrants will get a number, please only post once until that number has been reached. This is open worldwide. And the bonus ball from the UK lottery on Saturday night will decide the winner. A CMF/poly will be sent to you, I'll try to match it up with your wanted list where possible. Easy Lego related question today. Which set are you planning to purchase next? If you don't have a purchase planned and are just watching prices etc, which special set are you saving up for? I have not bought the new modular so that's definitly on the list for me. Sewer babies! And the McLaren Senna as it was sold out last trip to the store. The next set/sets I want is are the July Harry Potter releases, but I find it impossible to resist bargains so the next purchase could be absolutely anything. I rarely go a week without getting something, even if it's just a small set. I'm waiting for a good price on #42095 Remote-Controlled Stunt Racer. I'm a sucker for anything with tracks that move! 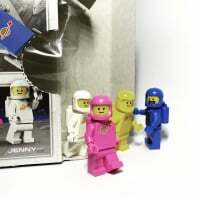 I want to get the Lego Movie 2 CMFs, but not found them in the wild yet. I'm planning on getting one of the motorised trains so we can make our winter train move next year... I fear it may be a slippery slope though! Hoping it’s the 1989 batmobile. It’ll be my 40th birthday present to myself. Apocalypseburg or maybe Ninjago city dock. I just bought the Corner Garage, hoping my next purchase will be the roller coaster. 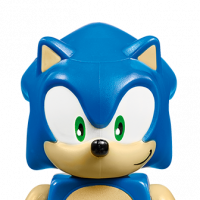 But there may be some small purchases in between, such as TLM2 minifigs or a couple Speed Champions. I still need to get the main Harry Potter sets including Hugewarts. There are loads of candidates for the next purchase though, and the list only ever seems to get longer. #75222 Cloud City - When I can find it at a decent discount. I'm waiting for a good sale on the last wave of Ninjago sets (Hunted). I didn't get a chance to get them before the New Year. 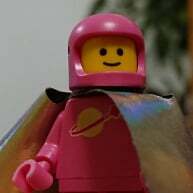 LEGO Movie 2 CMFs for me! The Corner Garage it will be! Not yet taken the plunge on the previous two modulars (Assembly Square & Diner), so will have to pull the trigger at some point before they disappear. I bought the ferris wheel when it went on sale so would like a carousel to go with (if it also gets a discount). My next purchase is likely to be 5-6 of the TLM2 CMFs (Giraffe, Watermelon, Dorothy, Tin Man, Lion, and Scarecrow). I'm still trying to get a hold of the Pop-Up book too. 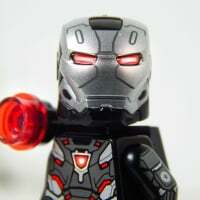 I'm probably going to wait until Iron Man's Armor Room is released before buying any more Lego. I'm on a tight budget right now and that set is just too awesome to pass up. The Brick Bank, before it sells out completely. There's so many but if I had to choose one I really want to get ahold of a copy of #5885 Triceratops Trapper. I sold mine a few years back and it's one of my biggest regrets ever! I dont think I'll ever forgive myself if I don't get that triceratops back!! #75181 or #10240...but want to stay clear of Monster Fighters..I hope! Corner Garage whenever double points promo is available. I'm probably going to get Ninjago City next time it's on sale. The next SW UCS set that isn't a player. Hoping for ISD Tantative IV or AT-AT in May. Can't decide whether I want Ninjago City Docks to go with the city or not, haven’t really got space to display them together. Having bought a second space squad today I expect my purchase will be Ultrakatty while I save up for something bigger. I need the #70828 Pop Up Party Bus in my life! To be honest, I'm on the lookout for some clearance finds for my BL store. So THAT will most likely be my first purchase. As for personal collection... we are kinda at a crossroads with that. 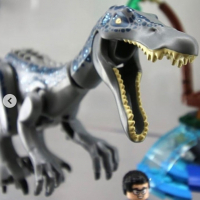 Yes, Lego does have some sets currently that we "like" but nothing that makes me say "I need that." If new Harry Potter sets DO happen, I'm sure we will get those, so that's probably my answer. The last sets we bought were last years Harry Potter, so if they do more, that's the purchase. The large Hogwarts set. Or whatever new Harry Potter stuff comes out this summer!